Allergic rhinitis caused by pollen is most often accompanied by pronounced symptoms in the eye area, such as itching, watering and redness of the eye, so this form is called allergic rhinoconjunctivitis or allergic conjunctivitis. It is present in more than half of patients allergic to perennial allergens (mites or cat hair). Some epidemiological studies show that more than 70 percent of patients with allergic rhinitis have pronounced eye disorders, and that patient population has a more impaired quality of life than those with only nasal symptoms. Various therapeutic modalities are used for the purpose of preserving or strengthening the epithelial barrier. Recently, solutions containing ectoin have been used for this purpose. Ectoin is a bacterial peptide that prevents epithelial barrier lesions by osmotic stress and is therefore used in the prevention and treatment of not only respiratory, but also skin, eye and digestive manifestations of epithelial barrier lesions. Conventional allergy conjunctivitis therapy involves the use of nasal corticosteroid sprays, antihistamines in the peroral or topical form, with the addition of ocular or nasal chromones and anticholinergics, depending on the first line of therapy for controlling the symptoms (antihistamines or topical nasal corticosteroids). 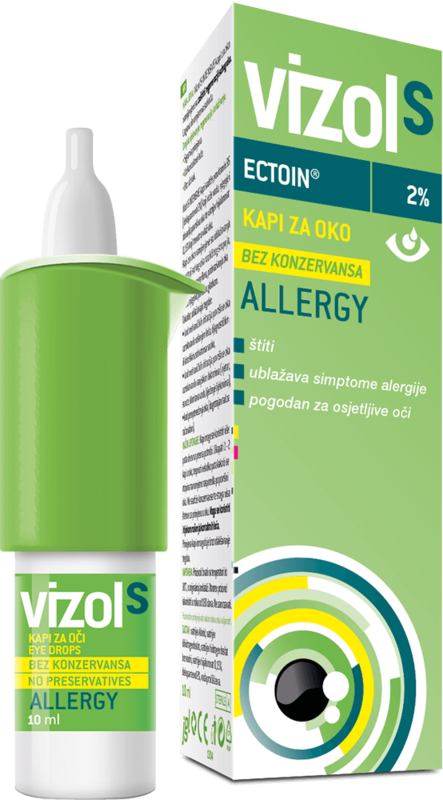 JGL’ solution are Vizol S Allergy eye drops with ectoine that in contact with the eye mucosa create a hydro-complex in the form of a film that protects against contact with allergens. 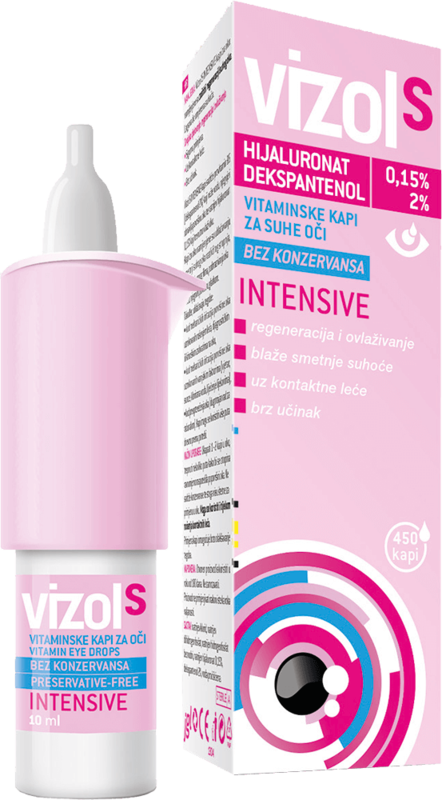 Vizol S Allergy relieves itching, redness and excessive dryness of the eyes, and is intended for children, adults and persons wearing contact lenses.